Antonio Lauro (August 3, 1917 – April 18, 1986) was the son of an Italian immigrant who was a barber, and an amateur singer and guitarist. 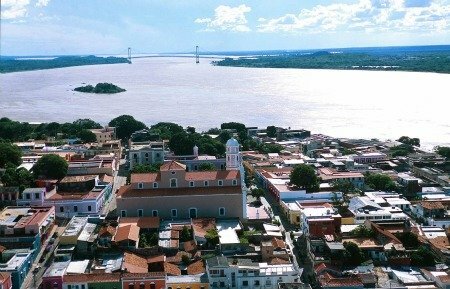 Ciudad Bolívar, was his birthplace in southern Venezuela. His musical lessons began with his father but he died when the boy was just 5 years old. With her three children Lauro's mother subsequently moved to the Capital, Caracas when Antonio was 9 years old where he began formal musical studies (piano, composition) at the Academia de Música y Declamación, where the distinguished composer Vicente Emilio Sojo (1887–1974) was one of his teachers. The legendary guitarist and composer Agustín Barrios performed in Caracas in 1932, the young Lauro was so much impressed by the Paraguayan maestro that he abandoned the piano and violin in favor of the guitar. Classical guitar studies began in 1933 at the School of Guitar at the National Conservatory with Raúl Borges (1888–1967). Lauro went on to become the first Venezuelan guitarist to perform major works, and subsequently contributed to acceptance of the guitar as a significant instrument in his country. In the next decade, Raúl Borges' pupils would also include Rodrigo Riera, José Rafael Cisneros, and Alirio Díaz. These colleagues who went on to successful concert careers, were later instrumental in bringing Lauro's works to a wider international audience, and attracting the attention of the likes of Andrés Segovia and John Williams. While studying he became the official guitarist of Caracas Broadcasting and worked as an accompanist on radio. Antonio Lauro was a fervent cultural nationalist and celebrated Venezuela's musical heritage accordingly. 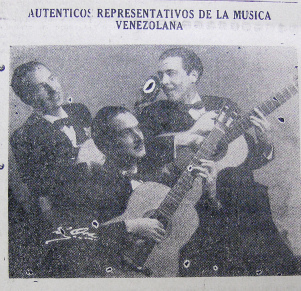 In 1935-1943 he sang bass and played guitar and cuatro (a small guitar-like instrument popular in the region) in the group Trio Cantores del Trópico, which toured nearby countries to introduce them to Venezuelan music. A genre from Venezuela's musical past that Lauro was attracted to was the valses venezolanos (Venezuelan waltzes) from the 19th century, created by composers such as Ramón Delgado Palacios (1867–1902). Unfailingly melodic, alternately wistful and brilliant, and characterized by a distinctive syncopation (created by a hemiola in which two measures of 3/4 become a single measure of 3/2), these waltzes are reminiscent of the folkloric material European composers such as Smetana, Bartók and Granados elevated to the category of national art. 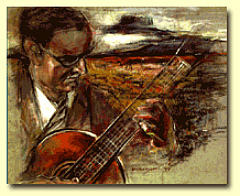 One of Lauro's peers, the distinguished Venezuelan pianist Evencio Castellanos (1914–1984) performed a concert consisting entirely of such valses venezolanos, convincing Lauro that the guitar too should have comparable pieces in its repertory. The result were pieces later to be known as Tatiana, Andreína, and Natalia which he composed sometime between 1938 and 1940; their instant popularity inspired still others such as Merengue (a traditional Caracas dance) and Cancion. These traditional waltzes consist of two contrasting parts, with syncopations and rhythmic interplays typical of Venezuelan music, and blend and layer accents of 3/4 and 6/8 time signatures.Lauro also composed works for orchestra, choir, piano and voice; many of which remain unpublished. 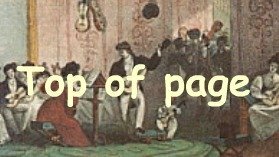 Find your favourite Antonio Lauro Sheet music at this page! later humbly shrugged off the experience, telling his friends that prison was a normal part of life for the Venezuelan man of his generation. He had continued composing throughout his imprisonment and upon his release immediately returned to the stage rejoining the guitar trio he had formed earlier (in honour of Lauro's teacher the trio was later known as Trio Raúl Borges). International recognition for Lauro's musical achievements was enhanced by the efforts of his fellow countryman Alirio Diaz who featured Lauro's works in his performances. Andrés Segovia made a recording of Natalia in 1955. Lauro was appointed professor of guitar at several distinguished schools including the Juan José Landaeta Conservatory, and was named president of the Venezuela Symphony Orchestra. In spite of his modest insistence that he was a composer rather than a performer, his friends persuaded him to embark on a solo concert tour which began in Venezuela and culminated in a triumphant 1980 performance at London's Wigmore Hall. 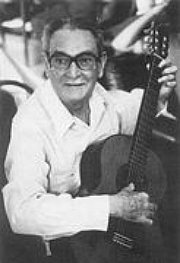 Antonio Lauro died in 1986, but not before being presented with the Premio Nacional de Música, Venezuela's highest artistic award.